What are you looking for in a contractor? The great thing about Minnesota is that it offers many different Commercial Remodeling Contractors to choose from. This gives business leaders and owners the opportunity to find the right contractor for their project. Over the years we have learned that successful projects are built around the project being a good fit for both the client and the contractor. 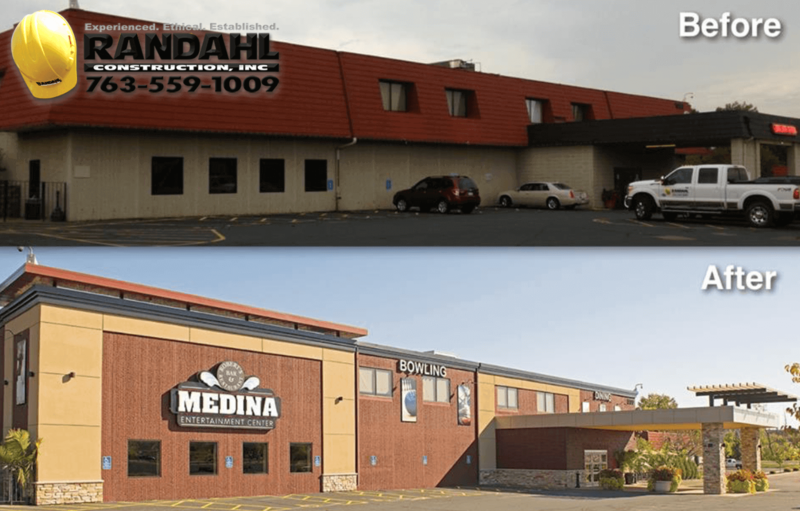 Here at Randahl Construction, Inc in Corcoran, MN we truly believe that our reputation as an Experienced, Ethical, and Established Commercial Remodeler is everything, and we want to make sure every project is a good fit for all parties. So below is a brief summary of what Randahl Construction can do for you and your business. If you are interested in setting up a site visit or discussing your project with one of our team members please use our Contact Us Form. When it comes to finding a commercial remodeler for your business, there are a few things that make a bigger difference than experience. With over three decades of experience in all phases of industrial and commercial remodeling, our team can ensure that your project is handled by an experienced construction professional. Every project that Randahl Construction, Inc. is involved in, crosses the desk of Owner Randy Olsen. We believe that having our owner involved in the project from start to finish offers our clients the absolute best commercial remodeling service around. Randy’s hands on approach ensures that every project is handled with the professionalism and passion that we demand. Gratefully this hands on project management approach and years of experience has earned us opportunities with Minnesota based companies such as KFAN Radio, the Minneapolis Auto Auction, KMSP Fox Channel 9, and the Minnesota Lottery. These project have included additions, alterations, build-outs, expansions, retrofits, demolitions and more. Being an Ethical Contractor and business is one of the most important goals of our leadership team. Doing the Right Thing ALL THE TIME is our motto. When it comes to our clients, we take great pride in submitting accurate and honest proposals, on-time estimates and excellent customer service. Our detailed proposals, layout a list of the expectations that you can have for the project and along with a list of exclusions of services and items that we will not be performing or including in the commercial remodeling project. This is important, because communication is the key to a successful project. Sometimes unethical contractors will leave out specific details in a project leaving a “gray area” in the project only leading to change orders and upset customers. At Randahl Construction, we understand this frustration and will always do our absolute best to make sure that all of the areas of the project are discussed prior to signing a contract. During the bidding process we work with each of our subcontractors and identify any issues that may arise during the construction process. This helps us eliminate any surprises later in the project. We want to communicate in great detail exactly what we will be providing for you and your business. Our goal is to make every project a high priority and ensure that the entire team including your team is in clear communication from the beginning of the project. Our goal since day 1, has been to build long lasting relationships with clients establishing ourselves as their contractors of choice. 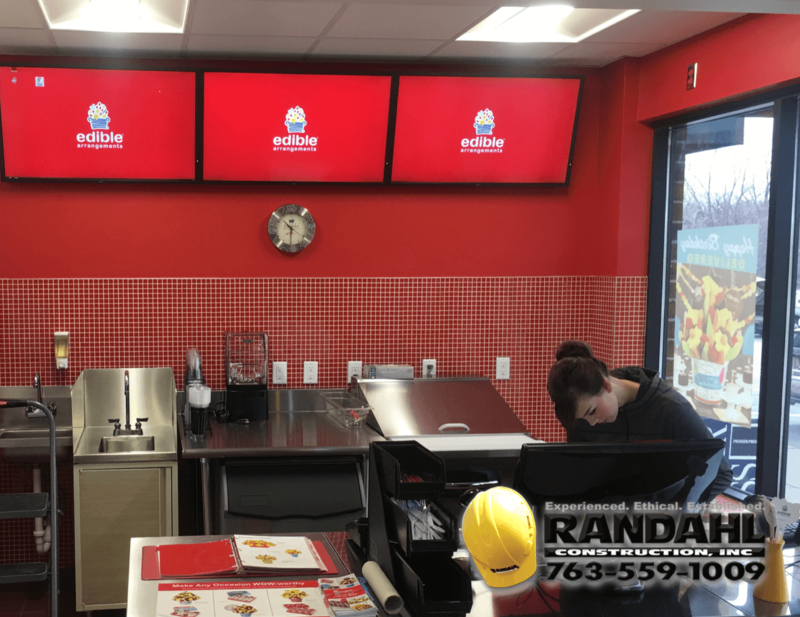 When our team visits your facility for the first time, you will understand the professionalism and passion that Randahl Construction Inc, brings to every job site we visit. 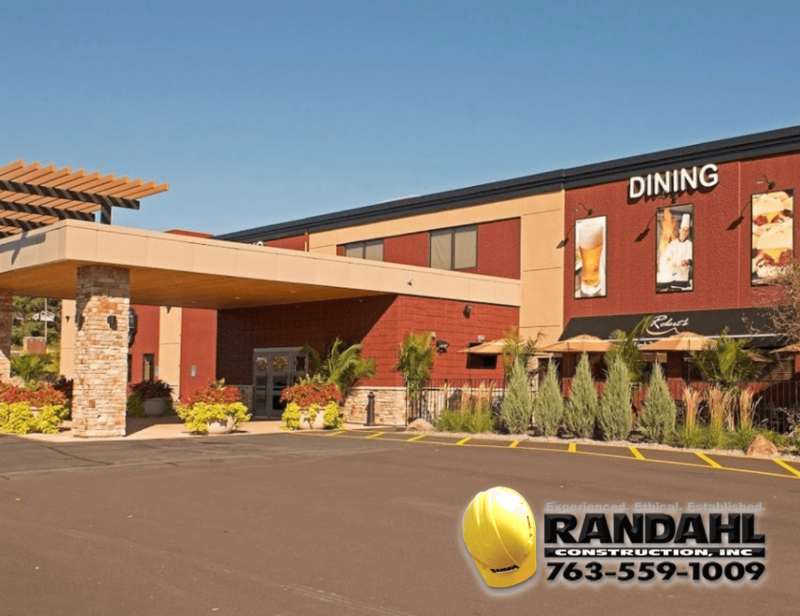 Being in business for over 3o years, Randahl Construction Inc. has established itself as a respected General Contractor in the Minnesota Construction industry. We believe that this respect has come with year and years of building long lasting, trusted relationships with our subcontractors and material suppliers alike. Since opening our doors, owner Randy Olsen has understood that excellence and success in this industry comes only by building a great team of subcontractors and material suppliers. If you are interested in obtaining a list of our referrals please ask or just check out our completed commercial remodeling projects page. 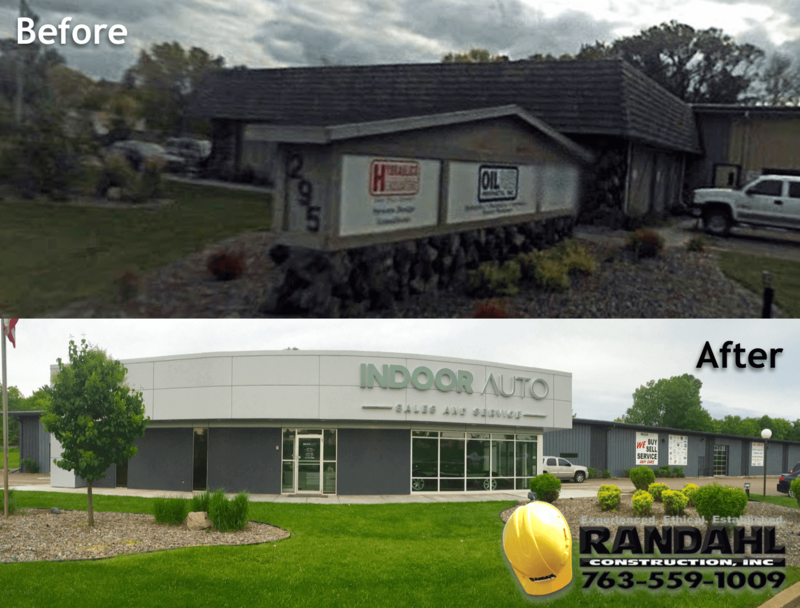 Whether your moving office walls in your existing facility, preparing a new space for your business or upgrading your existing space with a modern touch, Randahl Construction, Inc. has you covered. We also help clients with warehouse and industrial concrete rpojects such as concrete machine pits, machine pads, and equipment pads… We specialize in listening to our clients needs and then provide them with the solutions. Our renovation process is very simple: Plan/Design > Demo > Repair > Rebuild > and…. our favorite part The Finish. So let’s start with the planning part, and we will walk you through the rest of the way! Looking for an office remodeling contractor that services the Twin Cities? Our office renovation services include: walls, windows, doors, carpet, tile, flooring, cabinets, office furnishing, ADA Compliant Bathrooms, conference rooms, lighting, heating & air, electrical, desks, cubicles, trim, wood work, and custom cabinetry. As your business and business needs change, its important to have a good partnership with a trusted commercial remodeling contractor that can help you adapt to the changes. New doors, walls, machine pits, concrete slabs and more can be quickly designed, quoted and installed with a local commercial remodeling contractor like Randahl on your team. Our concrete division is also a very handy tool to have. During the spring, summer and fall seasons, you can find our concrete division out repairing block walls, concrete slabs, and concrete sidewalks for warehouses across the Twin Cities. Looking for a warehouse or industrial remodeling contractor that services the Twin Cities? Our industrial renovation services include: demising walls, warehouse windows, exit doors, clean rooms, concrete, sound proofing, machine pits, equipment pads, ADA Compliant Entrance & Exits, offices, lighting, heating & air, electrical and more. With the recent growth of Amazon and other online retailers, standard retail stores are being forced to step up their effort in creating an excellent experience for their customers. Nowadays, it’s almost a must for retail stores to create a “wow” factor to attract and maintain customers at their stores. The “wow” factor is obtained by giving storefronts a facelift with bright new lighting, signage, windows and doors. But that wow factor must also continue as your customers enter your store. So, we help by creating interactive spaces that retain the customers’ attention on the sales floor with new carpet or polished concrete floors along with new store furniture, racking, shelving, and fixture installations. 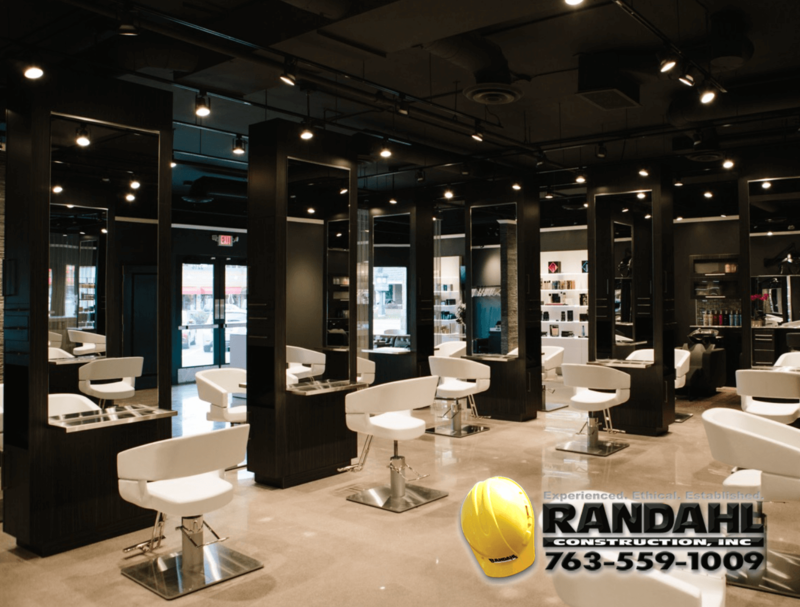 Call us today and let Randahl Construction bring your store back to life. Check out some of our recent commercial remodeling projects here. Let our experience work to your advantage and get Randahl involved early in the project. Our years of experience can save you thousands of dollars with simple ideas, tips and strategy when remodeling your retail store. Having worked on hundreds of retail projects across the Twin Cities, both large and small, our team is ready to help you in any way we can. It starts with a phone call and we will do the rest. As medical and pharmaceutical companies grow and expand, they often find themselves in need of new areas, upgrades and improvements to their facilities. These construction updates can include medical rooms, clean rooms, more office space and break rooms. Due to the steep relations and complexity of the projects, the problem can come when searching for a general contractor who is capable of handling their projects. 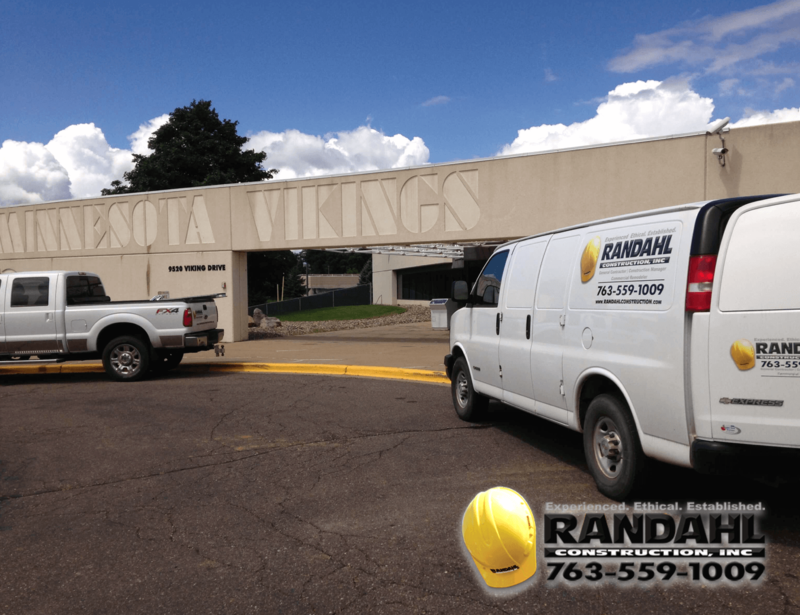 At Randahl, we are experienced in dealing with high security clients, structured construction rules, and extreme safety precautions. If you are interested in an estimate on a construction project for your medical facility, call us today 763-559-1009. Typically, when remodeling professionals talk about the financial industry, they are talking about the finance companies, as they’re the ones handling the finances of projects and making sure everyone gets paid. 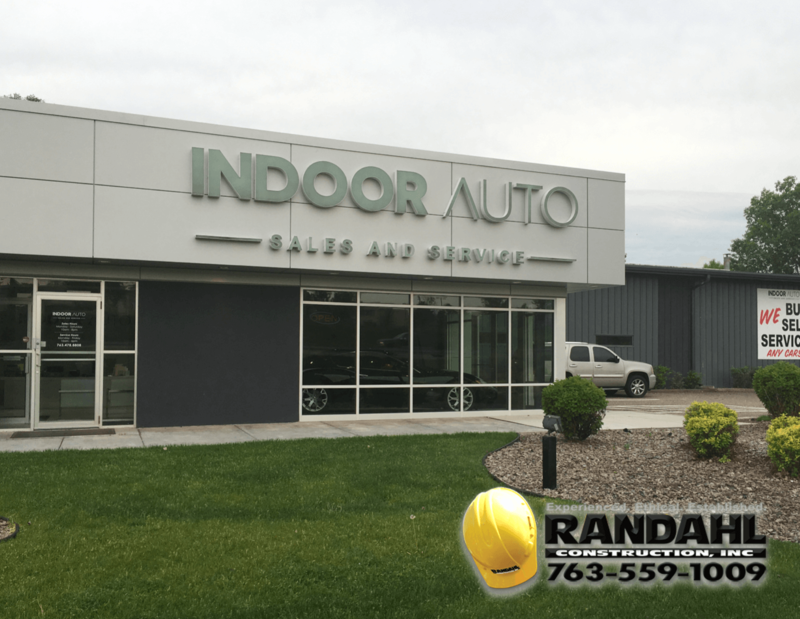 But at Randahl Construction, we often work with these financial institutions, helping them become more efficient and upgrade/update their own institutions with renovations and remodeling. 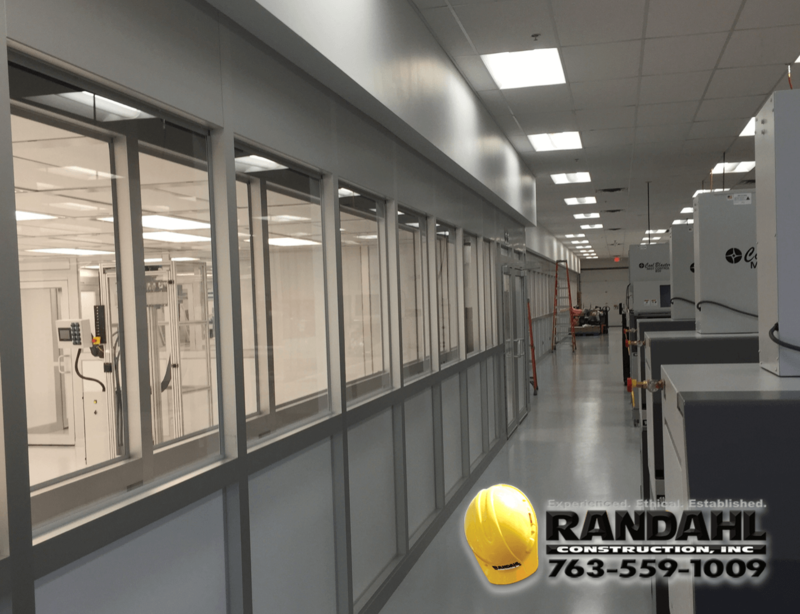 At Randahl, we truly believe your business facility should match your brand, especially when people are trusting you with millions of dollars. Similar to the retail industry, we believe financial institutions need to offer a “wow” factor to their clients. Not only do we upgrade and add life back to the office, but we can also upgrade your HVAC system, reducing future heating and cooling costs.In addition we can implement green building techniques to save you money on taxes and utility costs. 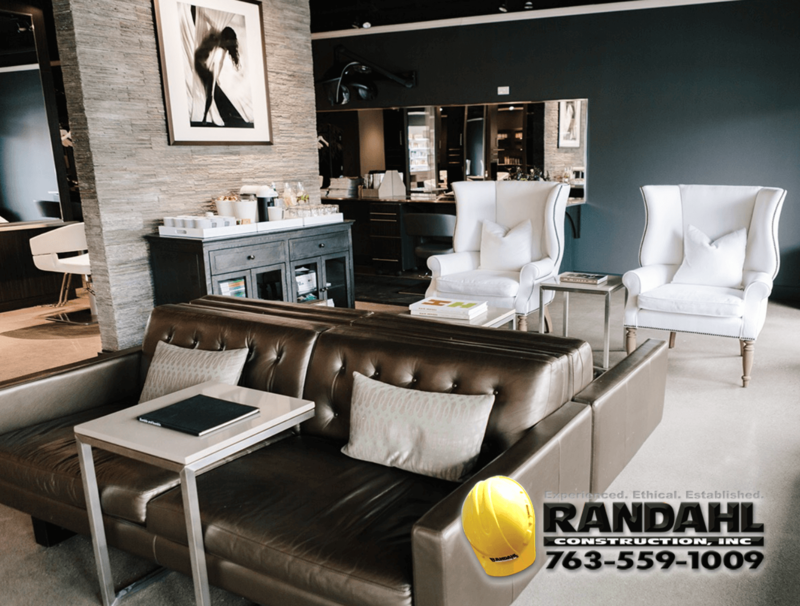 As a general contractor who specializes in commercial remodeling, Randahl Construction can help you with your project no matter the scope. We have over 30 years experience in the Minnesota construction industry and have earned a very well respected reputation amongst our clients.